Unruly Child will always have to try to top their critically acclaimed debut album and with good reason; "Unruly Child" is a milestone in AOR and is one the few albums that have stood the test of time. The band that disbanded more than 16 years ago: Marcie Michelle Free (Vocals - King Kobra, Signal), Bruce Gowdy (Guitars - Stone Fury, World Trade), Guy Allison (Keyboards - Lodgic, World Trade, Doobie Brothers), Jay Schellen (Drums - Hurricane, World Trade, Asia), and Larry Antonino (Bass - Ambrosia, Air Supply) have fortunately now joined forces once more. 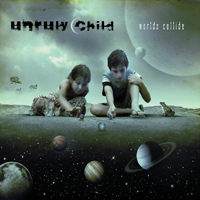 I'd bet that Unruly Child would have been huge today had this album been the follow up to their debut album and hadn't the whole grunge thing ruined the metal scene, but no more speculating... Unruly Child really isn't Unruly Child without Marcie Michelle Free (Mark Free prior to her gender change) and her voice is the main reason why this album rocks! Her style isn't as dramatic, but more refined nowadays and takes this album to higher levels. The style is pretty much back to basics; mix the energy of Tesla, the catchiness of White Lion and Bad English with the traditional rhythms of Led Zeppelin and you might get a hint of what Unruly Child sounds like today, but they have clearly put their own stamp on this album as well. The song writing is impeccable; filled with brilliant hook-lines, catchy choruses, amazing guitar leads and everything is wrapped in a first class production, even the cover artwork by Hugh Syme is brilliant. But times are changing, and maybe the time isn't for this kind of melodic hard rock any longer? I really don't care because this has all the trademarks and virtues that made the scene so explosive in the late 80s and early 90s. 2010 has been very kind to the fans of that era and "Worlds Collide" belongs among the absolute best of the best, trying to capture the past in today's musical landscape. This comeback makes sense to me, and I am sure this will quickly grow into a fan favourite, just like the debut album!